Elisa Custodio is a third-year transfer student pursuing a degree in Psychology and Social Behavior. She has been consistent in attending general meetings throughout the quarter as well as a regular at LBSA’s social events and study hours. 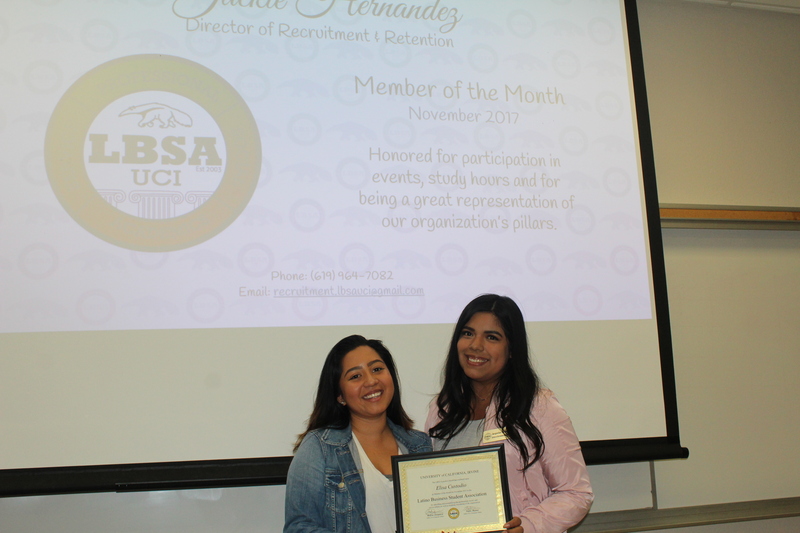 She is focused on her academic success, professional growth and has enjoyed attending the community service events making her the member of the month for November 2017.